Another Chibok girl was found yesterday near te former thresh hold of Boko Haram, Sambisa Forest in Borno State. 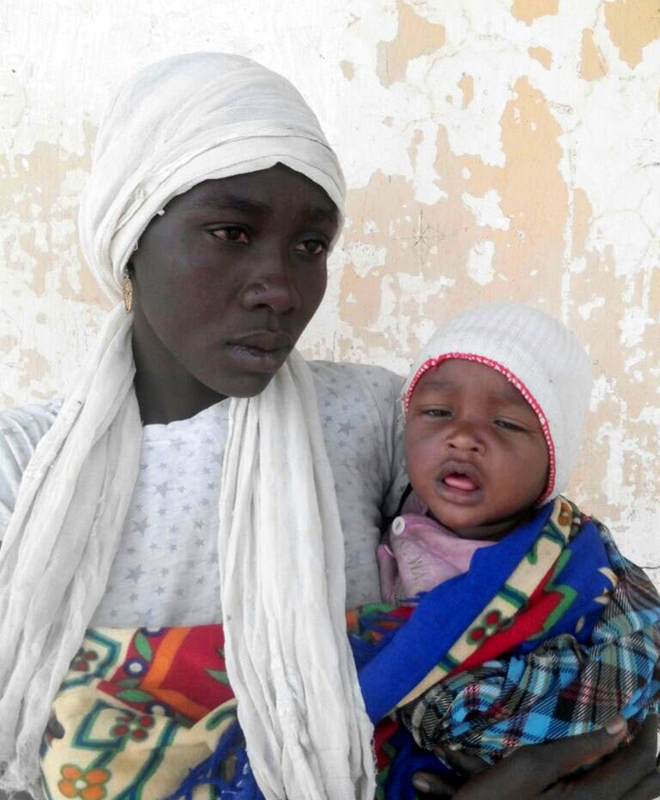 Rakiya Abubakar was holding a six-month-old baby during the profiling of suspected Boko Haram terrorists arrested after the routeing of the forest. She was found in Alagarno in Damboa Local Government Area of Borno State near the forest by Operation Lafia Dole troops. The girl is one of the pupils of Government Girls Secondary School, Chibok, who were abducted on April 14, 2014 by Boko Haram fighters. Army Public Relations director Brig.-Gen. Sani Usman, in a statement, said: “Troops of Operation Lafitya Dole during investigation of arrested suspected Boko Haram terrorists discovered one of the abducted Chibok schoolgirls, Rakiya Abubkar, with her six months old baby. ”According to preliminary investigation, it was discovered she is the daughter of Abubakar Gali Mulima and Habiba Abubakar of Chibok. ”She further stated that she was a student of Senior Secondary School Class 3B (SS 3B), before her abduction along with her colleagues on 14th April 2014 by the Boko Haram terrorists. ”Rakiya Abubakar is presently undergoing further medical investigation and would soon be released to the Borno State Government,” the statement said. Members of the #BringBackOurGirls (#BBOG) advocacy identified Rakiya Abubakar Gali as number 49 on their list of the abducted girls. The #BBOG campaigners plan to start another round of protests from Monday to press for expedited action on the release of the remaining girls. President Muhammadu Buhari welcomed the rescue of Rakiya Abubakar, noting that the recovery raised renewed hope that the other girls would one day be reunited with their families, friends and community. This brings the total number of girls left in Boko Haram’s captivity to 195.